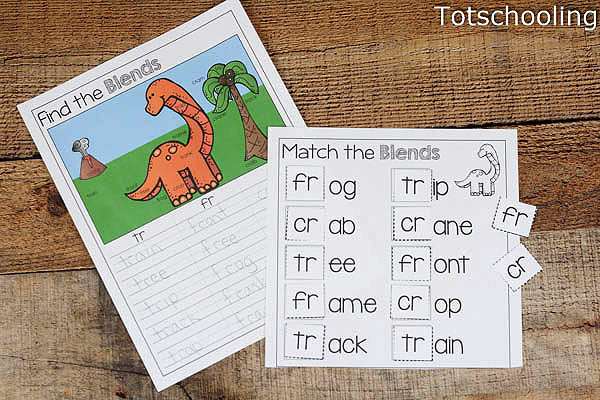 There are many steps to being a fluent reader and working on initial blends is a big step. 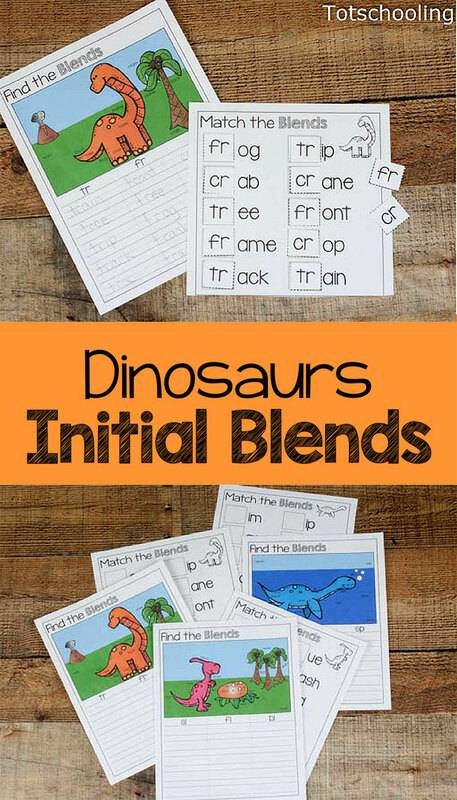 These dinosaur themed initial blends pages are the perfect way to practice reading and writing blends. There are two different pages in this set to work on reading blends. Both of them can be no-prep, unless you want to cut out the pieces first. Just print them out and you are ready to go! 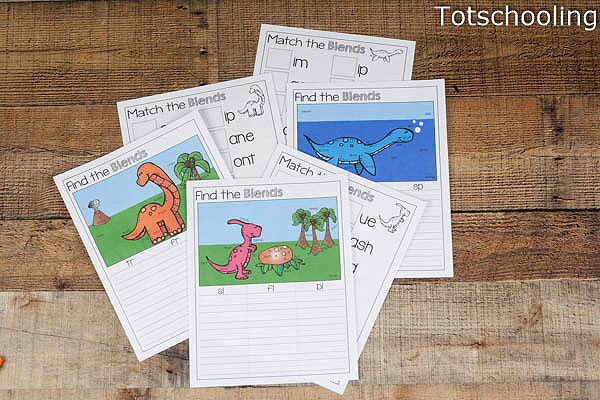 If you want to reuse the 'Find the Blends' page you can laminate that page and use dry erase markers. Sheet protectors will also work! 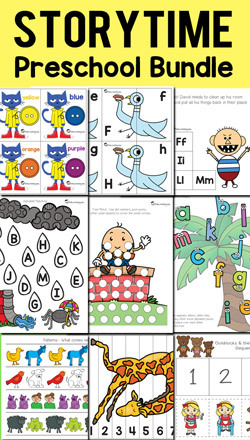 The first blends page is all about reading blends and then writing them down. 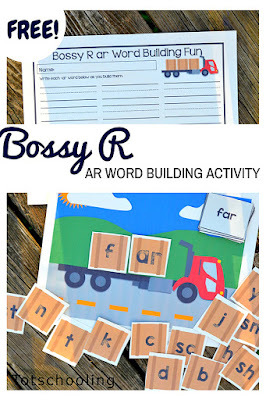 It can be used multiple times for extra writing and reading practice. Or it can be used just once. There are 3 separate pages featuring 9 different blends. We used them as a hide and seek type page. My kids got even more into it when I brought out magnifying glasses (Because every activity is better with magnifying glasses). The words aren't so small that you need a magnifying glass but it does get the kids more excited! 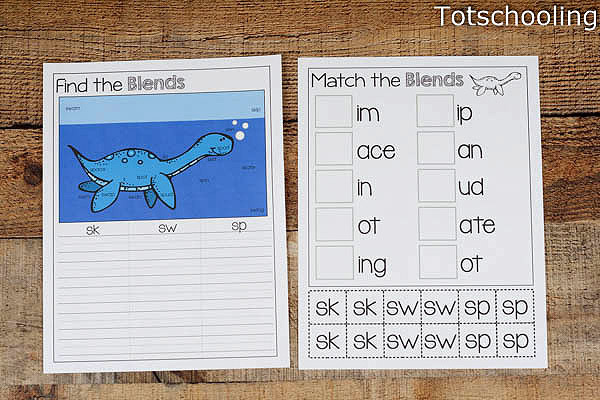 The second page is about making words with blends. There are 10 words per page and 12 blends to choose from. When we worked on this it was a bit of a puzzle. Some of the blends fit in multiple places but many only have one correct answer. The trick is filling out all of the words. These pages match the first pages. Each covers the same 3 blends and the dinosaurs on each page match. 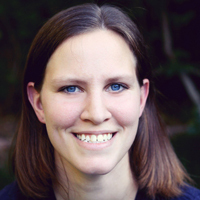 Erin is a full time homeschooler and blogger. During her "free" time she enjoys any crafty activity, reading, or making printables. She blogs at RoyalBaloo.com as a means of sharing the printables and whatnot. I have a soft spot for your posts. I have been waiting for them every week. To me, they are so useful and interesting. Thank you for posting them. I apply the advice in real life. They help me very much. Hope you can write more articles. Coffee shop, milk tea, coffee garden is a place to hold friends meetings, birthday parties when the sound system was installed, the broadcast of related music, or on request. This is an extremely important advantage to gain the trust of your customers and bring them the satisfaction. Extremely large and comfortable when you first use it is something that any businessmen want to achieve.